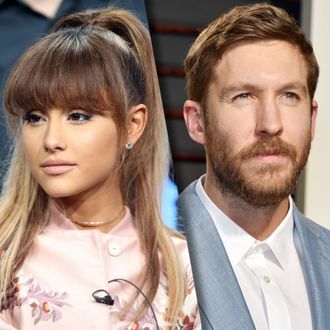 As the great poet Nelly once rapped, “It’s getting hot in herre.” So overheated is Calvin Harris’s new song with Ariana Grande, Young Thug, and Pharrell that they had the foresight to title it “Heatstroke.” Heed their warning and keep an ice pack on your person for precaution while listening to this one. Just when you thought the Song of Summer was dead, Calvin may have resuscitated the circus with an Album of Summer; this is his second gentle summer breeze in a row, after “Slide” with Frank Ocean and Migos. There are many elements that make “Heatstroke” summer-playlist worthy — that hook from Pharrell alone will have you breaking a sweat — but we’d like to think Young Thug crooning like an Auto-Tuned Charlie Wilson on the intro is the winner.